Body language is a type of non-verbal communication in which physical behavior, as opposed to words, are used to express or convey information. The practice includes facial expressions, body posture, gestures, eye movement, touch and the use of space. It is also known as kinesics. Kinesics body movements and gestures (legs, arms, hands, head, and torso), posture, muscle tension, eye contact, skin coloring (flushed red), even people’s breathing rate and perspiration. Additionally, the tone of voice, the rate of speech and the pitch of the voice all add to the words that are being used. The tone of voice is a combination of spoken language and body language. The manner in which something is said can affect how it should be interpreted. 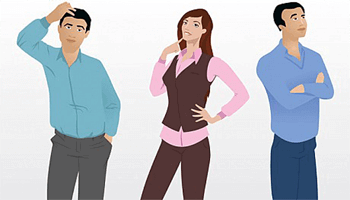 It is important to recognize that body language may vary between individuals, and between different cultures and nationalities. It is therefore essential to verify and confirm the signals that you are reading, by questioning the individual and getting to know the person. Another notable area in the nonverbal world is that of spatial relationships, which is also known as Proxemics. Shouting, smiling, irony and so on may add a layer of meaning which is neither pure body language nor speech. 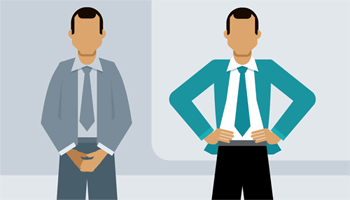 Body language impacts a great deal of how we communicate and can reflect quite accurately what’s going on inside us.